The BugLady has trouble wrapping her head around the idea of a non-native butterfly, especially one that’s considered a pest. What could be more benign than a butterfly? But, there’s the non-native Cabbage White butterfly (there’s even an alien orchid that’s considered invasive in some areas – read this for more about that). 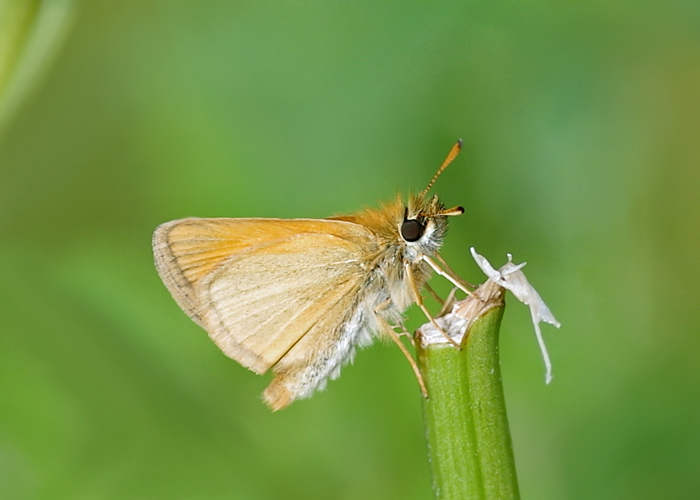 Of course, when butterflies are listed as a pest species, it’s because of the dining habits of their caterpillars. 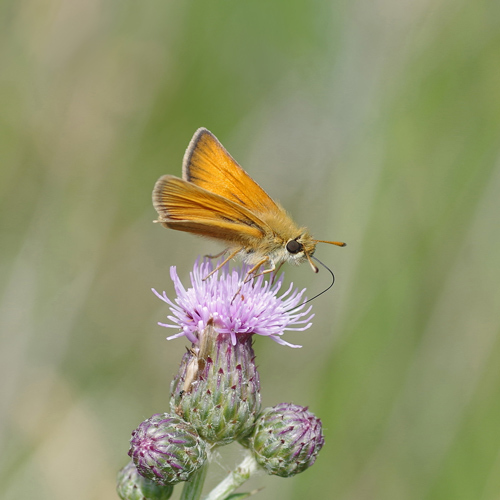 “This species is most impressive for its occasional abundance, far greater than that of other skippers in the northern states. 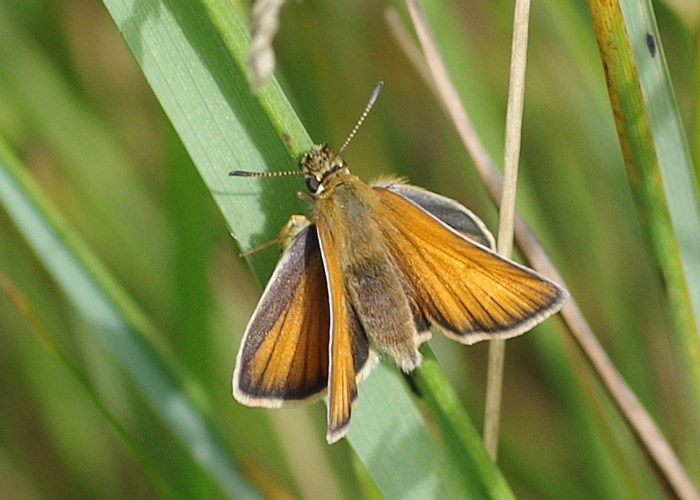 The record high for this species on a single North American Butterfly Association count is 55,340 and every year the highest count is well into the thousands.” Bugguide.net says that “It is becoming the most common skipper and considered a threat to Polites peckius.” [Peck’s skipper]. Males patrol, close to the ground, searching for mates. Females lay as many as 30 pale green eggs, in strands of three or four each, on grass leaves or seed heads. 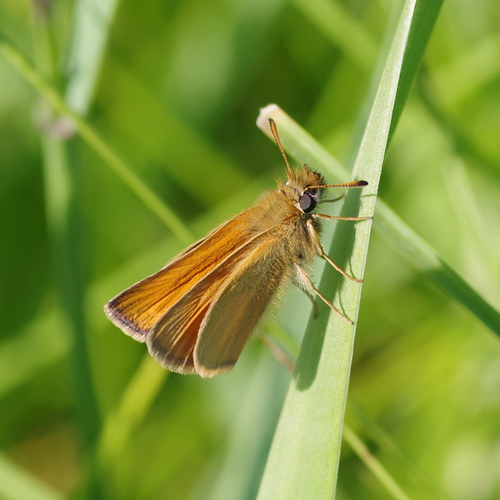 Alone among all of the 275 species of North American skippers, ES’s overwinter as eggs, and the caterpillars emerge in spring. Here’s a caterpillar, and here’s a pupa. 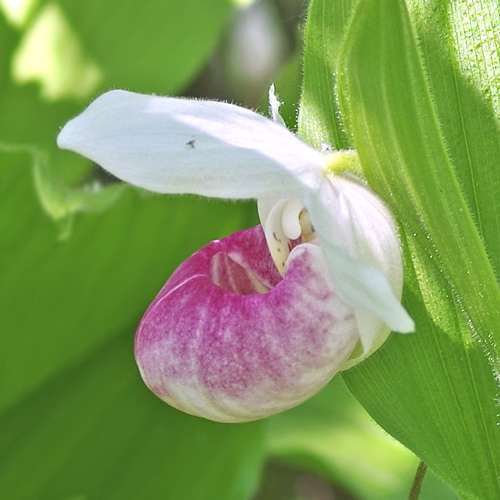 So – rising populations of ES have the potential to impact Showy Lady’s slipper populations.